At this stage your loved one is being photographed, finger printed and may be blood or urine tested. This is called the Booking Process. This is being done at the local County Jail. At this stage you have completed the most important crucial step you can for the Defendant. You have contacted or have been contacted by a California Licensed Bail Bond Agent from About Time Bail Bonds. There is no reason to go to the Jail where your loved one is being held unless you plan to deposit the FULL bail amount to the County which is called Posting Full Cash Bail. At this stage we now know the Bail Information. A California Licensed Bail Bond Agent from About Time Bail Bonds will now help you decide the best way to get your loved one out of custody. First thing you must know is that you have 3 options. 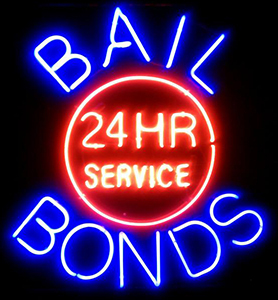 About Time Bail Bonds is here in case you do not have the means to Post Full Cash Bail. What we will do is give you a loan for the Bail Amount. At this stage you have decided to go through About Time Bail Bonds. A California Licensed Bail Bond Agent will now draw up the actual Bail Bond and physically deliver it to the Jail. The release process has now begun. At this stage the Bail Bond has been proccesed and approved. The Watch Commander at the jail will sign off on the Defendants file. The Defendant will then be transfered back to the holding cell if they were moved to the general population. About Time Murrieta Bail Bonds' legal services have been successful when you need fast bail. Our bail bonds office has been helping families for more than ten years and has been successful 100% of the time. To contact our office, click here for our phone number and email address. You can also find information about police, jail and courts in the tabs above.